Russia concluded agreements on military cooperation with the Georgian breakaway regions of South Ossetia and Abkhazia on September 15. They were signed by Russian Defence Minister Anatoly Serdukov and his counterparts from the separatist authorities of Abkhazia and South Ossetia, Merab Kishmaria and Yuri Tanaev, in Moscow. “This is the first step [in cooperation] between our Ministries. A number of other agreements on military and military-technical cooperation will be signed in the near future,” stated Anatoly Serdukov, as quoted by the Russian RIA-Novosti news agency. Under the agreements local Russian military headquarters will be established in the Abkhazian town of Guduata and the South Ossetian capital Tskhinvali. The Russian army will base 1,700 soldiers in each of these territories. This number is however less than that previously announced. After Russia’s recognition of Abkhazia and South Ossetia the Kremlin stated that about 5,000 Russians would be sent to the breakaway regions. The head of Russia’s main military headquarters Nikolai Makarov has now announced that the Russian bases will be “equipped with modern arms” and 1,700 soldiers will be “enough”. Back in March 2008 Russia reported that it had reached agreements with Abkhazia under which the breakaway region would give Russia the right to build land, naval and air force bases on its territory for 49 years. A similar agreement was reportedly signed with South Ossetia for 99 years. "In accordance with these agreements Russia has the right to build, use and improve the military infrastructure and bases in Abkhazia and South Ossetia and create and maintain joint military contingents [in both republics] in times of peace and war," Defence Ministry spokesman Alexei Kuznetsov told the Russian media on Tuesday. Speaking in the Abkhazian capital Sokhumi Russian Prime Minister Vladimir Putin announced that Moscow plans to spend 15 billion roubles (USD 500 million) on building and equipping the Russian military bases in Abkhazia. The signing of the agreements coincided with another sharpening in tensions over the Black Sea, with the de facto Abkhazian and Russian authorities continuing to protest against Georgia fulfilling its law on the occupied territories by detaining cargo vessels going to and from Abkhazia. The Russian coast guard will detain ships “violating Abkhazia’s maritime borders,” Victor Trufanov, chief of Russia’s coast guard at the Federal Security Service, said on September 15, as quoted by Russian media. However he noted that the ships will not be destroyed, in contradiction of the order of Abkhaz President Sergey Baghapsh, who has instructed his forces to “sink vessels illegally entering Abkhazian waters.” “If there are violations of the border, we will detain ships and take relevant measures,” the Itar-Tass agency quoted Trufanov as saying on Tuesday. The Abkhazian and Russian sides have declared that Georgian law enforcers are trying to put Abkhazia in “economic isolation” by detaining humanitarian cargo. 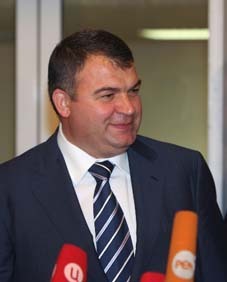 Georgian State Minister on reintegration issues Temur Iakobashvili says these statements are “lies.” “The ships which we arrested were not arrested because we are against trade with Abkhazia. We simply argue that there are procedures which should be undergone by everybody and only afterwards can they enter [Abkhazia], no problem,” Iakobashvili told the Georgian media on September 15. He underlined that vessels should first undergo customs control in ports controlled by the Georgian Government. “We cannot turn Abkhazia into a black hole for the FSB [Russia’s Federal Security Service] or the GRU [Russia’s military intelligence],” concluded Iakobashvili.